Popular Vehicle Alert! This 2013 BMW X3 has been viewed by 78 shoppers per week. 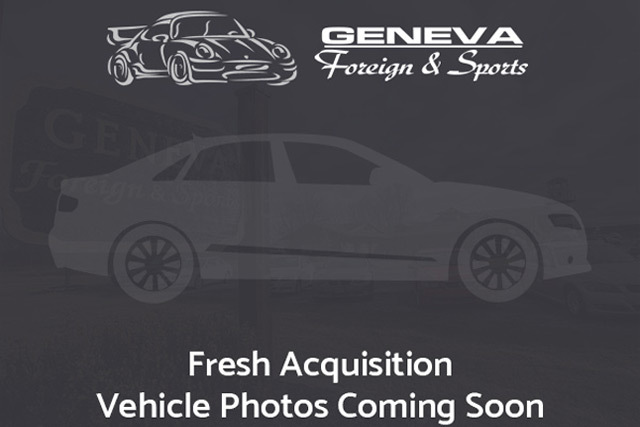 I wish to receive emails from Geneva Foreign & Sports regarding this Used BMW X3. I would like to schedule an appointment for a test drive on the 2013 BMW X3 stk # D0A31907. The BMW X3 xDrive28i offers a fair amount of utility thanks to its advanced features and unique styling. It’s also quite sporty, and injects an ample amount of handling chutzpah into the ridin’-high body of a family-friendly SUV. This BMW X3 is equipped with AWD for improved handling. Whether you’re faced with inclement weather or just out enjoying the twisting back road, you’ll have the grip of AWD on your side. You can tell this 2013 BMW X3 has been pampered by the fact that it has less than 66,206mi and appears with a showroom shine. Pre-owned doesn’t have to mean used. The clean interior of this BMW X3 makes it one of the nicest you’ll find. This sport-luxury crossover has a lot of competition, but the X3 fares especially well when it comes to horsepower and performance from its pair of turbocharged engines. BMW’s EfficientDynamics technologies boost the X3’s mileage to 19 mpg in the city and 26 mpg on the highway. The X3’s starting price is still under $40,000. This Used 2013 BMW X3 at Geneva Foreign & Sports in Geneva, NY features xDrive28i styling and All Wheel Drive. Stop by Geneva Foreign & Sports in Geneva, NY and see this BMW X3 today.